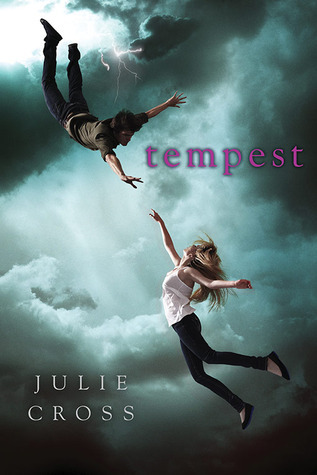 Serendipity Reviews: Tempest Blog Tour - Julia Cross' Soundtrack to Tempest. Tempest Blog Tour - Julia Cross' Soundtrack to Tempest. I am pleased to be hosting the last stop on the Tempest blog tour. Julie Cross has created a fabulous post for us, where she tells us about the playlist she created for TEMPEST. I have a bit of a song lyric obsession when it comes to TEMPEST. My playlist began forming a LONG time ago and I've altered and changed it many times. I've also asked readers for suggestions and the response has been awesome. One book blogger even sent me a CD of her brothers band out in California because they have a time travel song that goes so well with Tempest and I don't have an i-Pod to download it from i-Tunes. Anyway, my playlist is, like 40 songs...and I have it broken into categories-- I'm a nuts when it comes to songs. Hope you enjoy and feel free to make more suggestions. Tempest went on sale on January 5th and is available at all major bookstores.